I.C.E. GOING AFTER VIOLENT CRIMINALS IN HOUSTON! 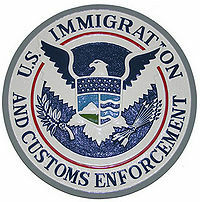 Posted in Uncategorized | Comments Off on I.C.E. GOING AFTER VIOLENT CRIMINALS IN HOUSTON! It was a mandate from the Obama administration: We want as many violent illegal immigrants off the streets of America. The agency in charge of addressing illegal immigrants (ICE) responded by rounding up thousands of undocumented individuals who have violent pasts or criminal histories. Nationwide that number has climbed to more than 2900 people who have been deported. In the city of Houston the local ICE office reports 125 illegal immigrants who have either committed violent offenses or who have troublesome backgrounds have been plucked from the streets of Houston. A 56-year-old man residing in Houston, Texas, from Mexico has a conviction for sexual assault of a child. A 39-year-old woman residing in Houston, Texas, from El Salvador, two convictions for felony assault. A 21-year-old man residing in Houston, Texas, from Honduras, was convicted of sexual assault on a child. A 24-year-old woman residing in Angleton, Texas, from Guatemala, two convictions for possessing marijuana; and tampering with physical evidence. A 19-year-old man residing in Navasota, Texas, from Mexico, convicted for possessing cocaine and criminal mischief. A 33-year-old man residing in Houston, Texas, from Honduras, was convicted of sexual assault with a child. KING TUT IS HEADING TO HOUSTON! Posted in Uncategorized | Comments Off on KING TUT IS HEADING TO HOUSTON! If you’ve always wanted to see Egyptian royalty now is your big opportunity. The King Tut exhibit is coming to the Museum of Fine Arts in Houston. The theme will be: The Golden King and the Great Pharaohs. The boy king will be on full display from October 16 – April 2012. Quite an engagement for such an extraordinary exhibit. Tutankhamun: The Golden King and the Great Pharaohs takes you back 5,000 years in time and explores what it was like to live like a pharaoh through the “Golden Age,” when Egypt was at the height of power and artistry. The exhibition spans 2,000 years and some of the most notable leaders of ancient Egypt. More than 100 artifacts from the tombs and temples of King Tut, his ancestors and contemporaries bring this rich history to life. HOUSTONIAN WHO WAS GIVEN PROBATION ON 13TH CONVICTION BLOWS IT AGAIN! Posted in Uncategorized | Comments Off on HOUSTONIAN WHO WAS GIVEN PROBATION ON 13TH CONVICTION BLOWS IT AGAIN! THE INSITE ON TV: THE ISIAH FACTOR! Posted in Uncategorized | Comments Off on THE INSITE ON TV: THE ISIAH FACTOR! Posted in Uncategorized | Comments Off on TOO BIG TO WORK? The Equal Employment Opportunity Commission is going after a Houston area company for allegedly discriminating against a man because he was too fat. A lawsuit has been filed against BAE Systems in Sealy, Tx. According to the EEOC’s suit (Civil Action No. 4:11-cv-03497), BAE fired Ronald Kratz II because of his disability, morbid obesity, and because it regarded him as disabled. The agency said that, at the time of his discharge, Kratz was qualified to perform the essential function of his job as a material handler III. BAE refused to engage in any discussion with him to determine whether reasonable accommodations were possible that would have allowed him to continue to per form the essential function of his job, the EEOC said. The suit asserts that BAE replaced Kratz with someone who was not morbidly obese. Disability discrimination violates the Americans With Disabilities Act (ADA). The EEOC filed this suit in U.S. District Court for the Southern District of Texas after first attempt ing to reach a pre-litigation settlement through its conciliation process. The EEOC seeks lost wages and benefits, compensatory and punitive damages, and injunctive relief, including rightful place instatement. According to the company website, www.baesystems.com, BAE Systems, Inc. is the U.S.-based segment of BAE Systems plc, with headquarters in Arlington, Va. Kratz worked for over 15 years at the Sealy, Texas location, around 50 miles from Houston, with BAE Systems’ Global Tactical System. The EEOC enforces federal laws prohibiting employment discrimination. Further information is available on the EEOC’s web site at www.eeoc.gov. SHINING LASER LIGHTS INTO FLYING CRAFTS IS ILLEGAL! 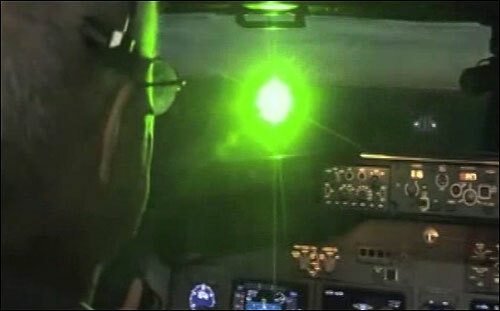 Posted in Uncategorized | Comments Off on SHINING LASER LIGHTS INTO FLYING CRAFTS IS ILLEGAL! In 2009, there were 1,489 laser events logged with the FAA—that is, pilots reporting that their cockpits were illuminated by the devices. The following year, that figure had nearly doubled to 2,836, an average of more than seven incidents every day of the year. And the overwhelming number of the incidents involved green lasers—especially dangerous because the human eye is most susceptible to damage from the yellow-green light spectrum. Hand-held lasers—about the size of fountain pens—are used legitimately by astronomy hobbyists and in industrial applications. Anyone can purchase one, and technology has made them inexpensive and more powerful. Lasers costing as little as $1 can have ranges of two miles—strong enough to target a variety of aircraft. And what appears as a dot of light on the ground can illuminate an entire cockpit, disorienting a pilot or causing temporarily blindness. That’s because the farther the beam travels the more spread out it becomes. “At 500 feet,” Childs said, “that two-centimeter dot you see on your wall can be six feet wide.” To date, no aircraft have been lost as a result of laser incidents, he added, but there have been eye injuries, and perpetrators have gone to jail. Those responsible for “lasering” aircraft fit two general profiles, Childs explained. “Consistently, it’s either minors with no criminal history or older men with criminal records.” The teens are usually curious or fall victim to peer pressure, Childs said. The older men simply have a reckless disregard for the safety of others. There are also intentional acts of laser pointing by human traffickers or drug runners seeking to thwart airborne surveillance, Childs added. As for Justin Stouder, the helicopter pilot he lasered helped guide police to his house, where he was arrested minutes after the incident. “I had no idea it illuminated the whole cockpit and blinded everybody inside,” Stouder said during the news conference. He offered a public apology and volunteered to tell his story in the hopes of educating the public about the dangers of laser pointing. “It was really a selfish mistake,” he said of his actions. 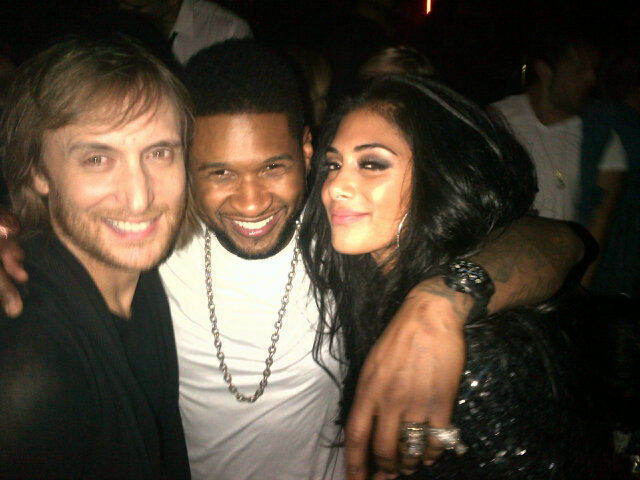 R&B STAR USHER UP ALL NIGHT! Posted in Uncategorized | Comments Off on R&B STAR USHER UP ALL NIGHT! The Insite woke up a tad bit early Sunday morning. Early enough to see the newspaper man in my neighborhood. Also, early enough to witness a tweet by R&B Superstar Usher. Apparently, while I’m up watching people deliver newspapers in Texas, the entertainer is balling out of control in Vegas. He just tweeted this picture. Despite his visit in Sin City, I think I’m still having more fun on the Insite. Booyaa! IF YOU’RE LOOKING FOR A TABLET: TOSHIBA THRIVE! Posted in Uncategorized | Comments Off on IF YOU’RE LOOKING FOR A TABLET: TOSHIBA THRIVE! CAROLYN FARB’S LUCAS COMES TO AMERICA BOOK SIGNING AT SAKS FIFTH AVENUE HOUSTON! Posted in Uncategorized | Comments Off on CAROLYN FARB’S LUCAS COMES TO AMERICA BOOK SIGNING AT SAKS FIFTH AVENUE HOUSTON! The Insite had a chance to sit down with Houston Philanthropist and Socialite Dr. Carolyn Farb this week. Farb has just released a new children’s book called Lucas Comes To America. The book chronicles the journey of a dog from England to the states…Dr. Farb says this book is designed for children and it leaves them with a moral message at the end of the reading. The book can be found on Amazon and at the River Oaks bookstore. More pictures of the book signing at Saks Fifth Avenue are on the way! SUPER PRODUCER INTRODUCES HIS NEW DRINK! Posted in Uncategorized | Comments Off on SUPER PRODUCER INTRODUCES HIS NEW DRINK! The Insite was invited to the grand unveiling of Super Music Producer Pharrell Williams’ new product. It’s an alcoholic beverage called Qream spelled with a Q. The product comes in various flavors and was downed by a long list of guests Friday night in the ‘H’. The big event to introduce it to the public in our community was held in southwest Houston at a Spanish like castle. Lots of people turned out for the fancy party that was organized by Houstonian David Anderson. When I walked in there wasn’t a person I did not recognize in the crowd of about 300 partying people who were all treated to Qream with their favorite fruit. On that list: Pharrell Williams, Slim Thug, Bun B, Queenie Freeman, David Anderson, Torrey Walker, Eric LeDay, Rizzo, and the list goes on! THE INSITE ON TV NOW CALLED THE ISIAH FACTOR! Posted in Uncategorized | Comments Off on THE INSITE ON TV NOW CALLED THE ISIAH FACTOR! HOUSTON FATHER IS BATTLING THE CATHOLIC CHURCH! Posted in Uncategorized | Comments Off on HOUSTON FATHER IS BATTLING THE CATHOLIC CHURCH!